Lake Como is one of many beautiful lakes in northern Italy and one of the most popular lakes in the Lombardy region. Often called the lake district’s jewel with it’s mountains views glistening off the lake it is easy to see why. 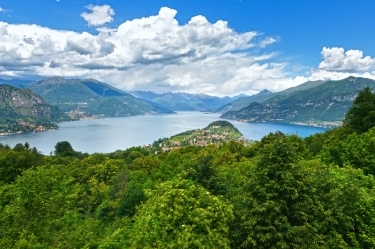 Lake Como is one of 7 lakes in about a 100 mile area which includes lake Orta, lake Maggiore, lake lugano, lake Iseo, lake Verese and Grand lake. Four of the lakes mentioned are in what's called the lake district, the other 3 are not but I am not sure why since as I said it is only about 100 miles from the two furthest lakes to each other. Lake Como is not only popular with Italians but as the Lombardy region borders Switzerland and Munich is only about 160 miles away it is very popular with the Swiss and Germans as well. Like any popular place weekends around lake Como can be especially crowded even more so if you are driving and the traffic can often be as bad as in a big city. The two closest well known Italian cities to lake Como are Milan and Monza and are between 20 and 25 miles from the lake making a very easy day trip from those cities. The easiest way to get to lake Como seems to be by train, the most convenient train leaves from Milan and is the Milan to Switzerland line and stops in the largest city on the lake which is Como. Taking this train drops you off near the tourist office in plaza cavour. There is also a smaller train line that leaves Milan as well and drops you off in the city of Como as well but at the Como Nord Largo train station. Once in the city of Como the most popular way of getting around the lake and to the other towns seems to be by ferry. There is also a bus system that goes around the lake as well but because of the views from the lake from the ferry could be the best way to go. If you really want to explore the area around the lake you can also rent cars in the town of Come as well. Bellagio is lake Como's most popular town located at the junction of the two upside Y section and is the best place to view the upper most part of the lake. Inside the town you will find picturesque cobblestone streets with widely colored buildings as you wind your way up the terraced streets as the rise from the lake shore up the hills. While you are walking around you will see many shops to look through as well as cafes. For the more historic there is the museum of Navigational Instruments to see as well as a few famous gardens, churches and Villas. With all the great things about Bellagio the worst thing would have to be the hotel prices which are some of the highest on the lake but if you are not looking for something on the water's edge you can still find some nice places. I should mention that Bellagio and some of the other towns around lake Como have local guided tours that might be of interest and can often be found in the local information center. Como the town is probably the first thing you will see if you are arriving to the lake by train, it is also the largest town around lake Come and has a little over 80,000 people living there. Compared to many other towns around lake Como is fairly flat and most of the town doesn't go up into the hillside. Como is a good base to visit many of the other towns around the lake because of the many transportation options making it easier to see more. 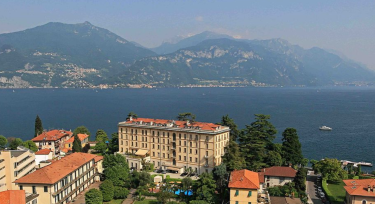 The town is also a good option to find a hotel as the prices in Como seem a bit less than many of the other towns around the lake. In town you can also find cafes, shops and restaurants as well as the silk museum. A neat thing the town has is the funicular which will take you up the hill to the town of Brunate where you can get a great view of the lake and surrounding mountains. There are also many hiking trails in Brunate so you can move around and get different views. Varenna is a town on the east side of the lake and is across from Bellagio. This town is a bit more old world then many of the resort towns and it has that old world charm. 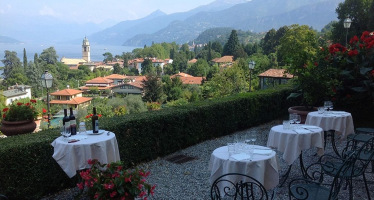 Varenna has several beautiful villas on the water's edge and are famous for their beautiful and well maintained gardens. There are also several nice restaurants shops and cafes with great views of the lake. Varenna isn't as busy as some of the other towns and could be a great place to stay if you like a little more peace and quiet. Menaggio is on the western side of the lake and is considered a resort town but is a very charming town and is a well known destination for honeymooners. As with so many Italian towns there some remnants ancient Rome as part of a Roman wall still exists in town. The town is a nice place to take a walk around visiting the shops and restaurants. One interesting thing that is popular in middle of downtown is the pedestrian only area which is a great place to stop and have something to eat or just have a cup of coffee. Tremezzo is another town on lake Como that is considered a resort town and is on the western side of the lake. Tremezzo has a nice array of villas on the lake with great views. Many of these villas also are popular with many travelers because of the gardens and as with many elaborate 17 century homes, one villa has been turn into a museum giving visitors access to both. 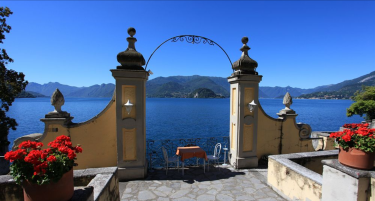 These are the larger towns around lake Como and there are many small villages along the shoreline to visit and stay depending on what your wants are. Besides the normal sightseeing things in town there is an abundance of things to do outside of the towns as there are a few golf courses near the lake. Most towns have many places to go hiking or biking along trails near the water's edge or in the hills, often the hotels will have their own bike rentals so you don't have to go looking to rent one. There are also several place to rent a boat however if you are looking to rent a boat with a lot of horse power you will probably have to have a boating license to get one. If you are planning on swimming July and August have the warmest water temperatures but still isn't that warm as the temperatures in July which is normally the warmest is only a little over 70 degrees or around 22 celsius, August is the second warmest month for water temperature and is about five degrees lower. Of course being by a lake you can go fishing as well and can go out on charter boats or the larger group boats to fish depending on your budget. There are also a few place where you can go horseback riding near the lake so you can have some nice views without taking a step. Of course there are many boat rides that are for sightseeing as well as transportation to and from the different lakeside towns so you can get many different views of the shore.